BECOME A SUPPORTING MEMBER - SUPPORT AND BENEFIT! Having the insurance coverage additionally entitles you to great products with unbeatable prices! Exclusive magazine for supports with valuable tips for the next mountain hike. The Mountain Rescue Tirol provides more than 4,000 search and mountain rescuers during 365 days year round. 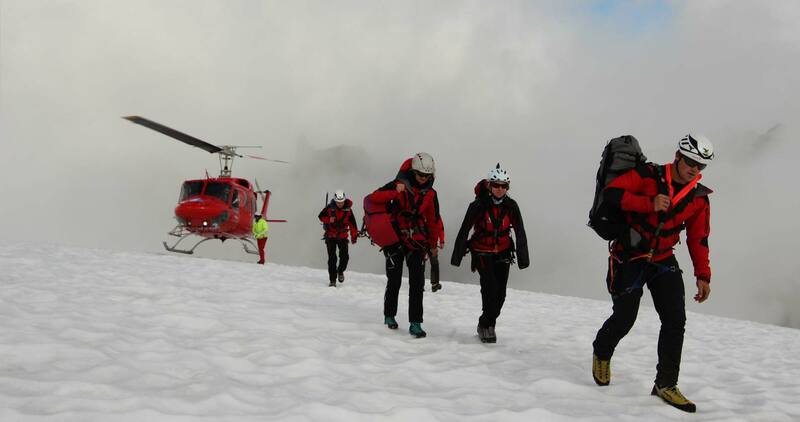 Whether it be the triggering of an avalanche in the winter or climbing accidents and exhausted hikers in the summer, the reasons for utilizing rescuers is diverse. The mountain rescue is there for you even with extreme weather conditions in the mountains. With our insurance policy you will be insured for costs involving search operations, recovery, and transfer to a rescue vehicle. For recovery costs with duration until 30.09.2019 please use the following forms. The Mountain Rescue Tirol is financed to a large extent through donations by its members. This allows for high training standards of our mountain rescuers as well as procurement of essential operational equipment. Please enter here the desired amount for which you would additionally like to support the Mountain Rescue Tirol. Rescue cost coverage for the entire family. "I am a mountain rescuer because the mountains are my second home. I want to help and support people in need in my second home.". Thomas Z.